Solid week of training! I’m pretty pleased. I think what I’m most impressed with is that this last year, I was blessed enough to be able to focus on my training and not have to go to an office to work. Now that I’ve started working again, albeit the office is still very flexible with me, I was successful in fitting in my workouts, work, meetings, volunteering with the Colonoscopy Assistance Program 5k race, attending my son’s all-city honor band performance and taking my other son to his karate classes. Ok, laundry didn’t get done one day but like my missed workouts… I got it done the next day. Balance is a tricky talent. But even more important than mastering a balance in your life, the ability to adaptto any situation, obstacle or interference is critical… not only in training … but in life. 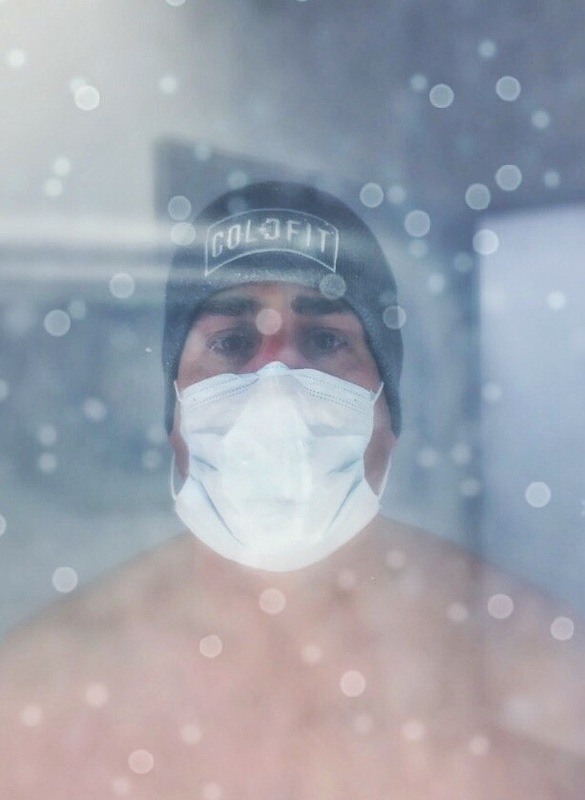 In my adventure towards finding a way to keep challenging my body physically and mentally via marathons and triathlons while staying healthy, I was introduced to cryotherapy. Not going to lie… I like my hot tropical South Texas and was scared about the thought of standing in an ice cold chamber with temperatures of -145 degrees!!! FOR THREE MINUTES!!! But I did… and it was freaking awesome!!! My husband is training for his first ultra run: a twenty-two hour weighted ruck “walk”. He’s specatated at one of my marathons and one of my sprint tris. He’s never even done a 5k with me!! And he decides to do an Ultra for his first event!!! Do I doubt his abilities? Absolutely not!!! That man is a beast and can do anything he sets his mind to. I was first to enter the chamber. They asked what music I wanted to hear while freezing; “Rage Against the Machine please”, I said. My small group of friends sort of didn’t expect that and it showed on their faces… and I think they also expected me to turn into a whacked out ice cube. He had just finished a long run the day before so his body was perfectly worn out for cryotherapy. Add to this, he has always had serious problems trying to get solid sleep. What I witnessed was a husband who became a completely different person. He’s gone back every day since!!! And y’all know that I believe if someone else says it better than I do, I just let them say it. These are the words from one of my other girl friends that did this with me that night just so you know it’s not just me saying it. 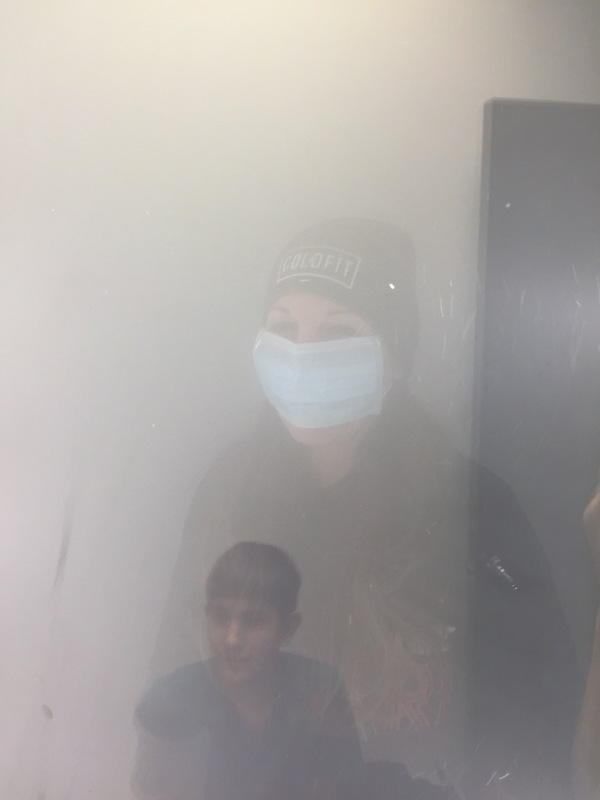 Let me just start by saying that the subzero -145° experience isn’t as scary as you would think!!! I’m naturally prone to being cold… ALL THE TIME. I have a space heater in my office which I use regularly to get my office to 78°. I’m happiest when HOT, what can I say. So when our friends invited us to try their new machine, I was honestly terrified. 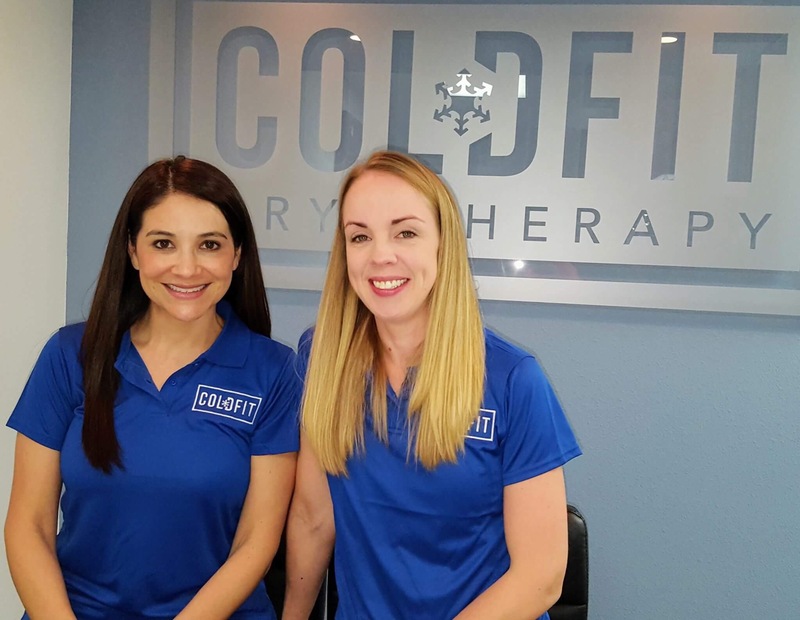 But thanks to them, McAllen now has the very best, top-of-the-line cryotherapy unit. You may have seen those pods that you stick your body in and the head is exposed. Those use a mixture of nitrogen/oxygen. The mix must be perfect or you can pass out from lack of oxygen. THIS ONE DOESN’T HAVE NITROGEN IN THE CHAMBER!!! The reason they chose this system? It’s safer. Safer is better! So what can you expect? The cooling chamber is about the size of a walk-in shower. You walk in. The glass door isn’t locked. You can walk out anytime you want, but the idea is to persevere thru 2 min to 3 min in -145°. How long really depends on your body. The goal is to drop your surface temperature by a certain amount. They will start most people on 2:30. They’ll measure your temperature before and after and will adjust future sessions as needed. You can safely get one session per day. After your temperature is taken you put on a cozy hat and/or ear muffs (I used both… once again, I no like cold). They provide warm wool mittens and long socks (but I recommend you take you own socks, perhaps a couple pair). Warm fuzzy slippers and a surgical mask are also provided. The machine works regardless of clothing, but light fabric is recommended. I had a light short sleeve sport shirt and workout yoga pants. The more skin that is exposed the faster it works. Obviously you’re going to want to cover certain parts. I’m sure the staff is very professional, but I don’t expect they need to see your nakedness. The next step is critical! PAY ATTENTION!! There are speakers in the chamber which play YOUR music. Three minutes goes by A LOT faster if you have good music to dance to. Pick your song ahead of time and they’ll plug in your phone!!! So once everything is ready you walk in while a trained attendant supervises. The door opens and a blast of cold air comes out. Immediately, the chamber fogs up and the temperature raises to about -115°. After you close the door the temperature re-stabilizes and will quickly drop. Until then you’re in a fog and it’s hard to see out (just think of the freezer department at HEB when you go grab your popsicles and how the glass fogs up… only it’s about three times colder and YOU are on the other side). But your music is blasting thru and in no time you’re in the zone!! I had them set my time for 2:30 and I have to say it went by in a flash. Not once did I feel like time was dragging, but the music really made the difference I’m sure. Strangely, I didn’t shiver like I thought I would. I do recommend you breath in/out of your nose though. Humidity will escape your mouth faster and will create snowflakes in the air. Ultimately, you WILL have snowflakes on your eyelashes, hair, clothes. They’ll disappear the instant you walk out. Upon exit is when your body is at its peak to burn calories. A recumbent bike and stretching bars are currently available (more machines to come) to help get your heart rate up and take advantage of the boost within your core to warm up the body. Now, I’m not prone to sweating. I’m guessing it has to do with the fact that I like it hot and since sweat is the body’s reaction to cool you off, my body doesn’t feel the need to cool me off most of the time. But after 4 minutes on the recumbent bike I was breaking a sweat. After 7 minutes beads were rolling down my back. In all, allot about 15 minutes for the entire session. 2-3 minutes getting prepped. 2-3 minutes in the chamber. 8-10 minutes of exercise. 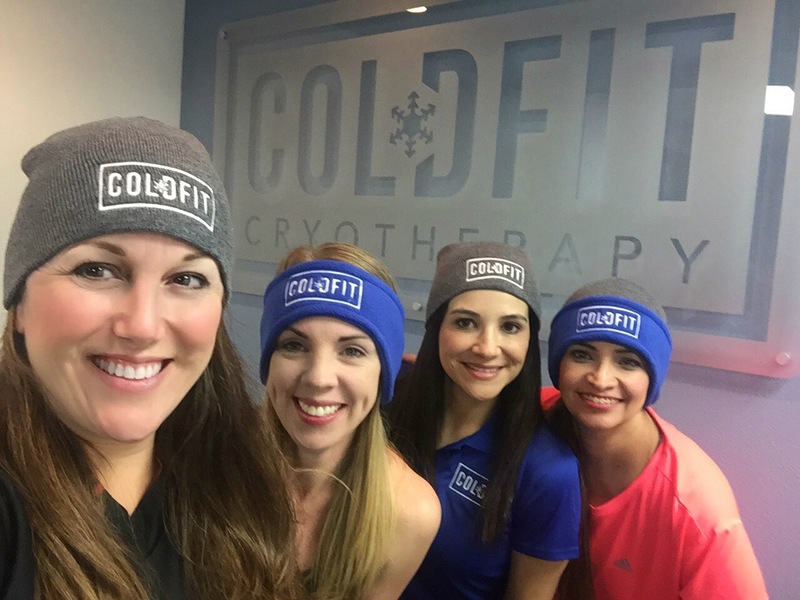 Athletes have long since known of the vast benefits of cold therapy. I’m not going to go into them all but it helps reduce inflammation, promotes cell regeneration, helps with sore muscles and muscle recovery, improves skin tone, alleviates chronic pain, oh and they say your body burns 500-800 calories (if you take advantage of post-session cardio). Plus it’s a beast of an adrenaline rush!